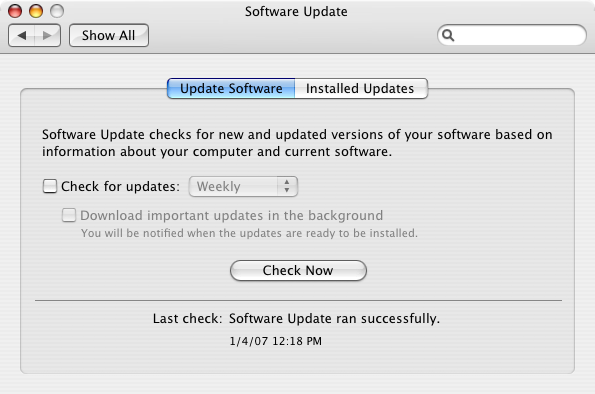 Ok, so your Mac is up and running with the latest updates? Great! NOw, we've got some tweaking to do to make it fitting as a Media Mac. First off, the default setting is to automatically log in the user you created when installed your Mac. You should keep that, of course. Or create a new account that is restricted if you're concerned about security. Every new Mac (apart from the Mac Pro's) comes with a remote control and Front Row. By default, the Mac responds to every Apple Remote, and if you for some reason have more than one (like a Apple Remote for your iPod dock?) you need to pair the remote with your Mac. To do that you point the remote to the Mac and hold the "menu" and "next" buttons on it for a couple of seconds until a pair symbol appears on the screen. I recommend setting up the background image to a folder of images and set it to change picture every fifteen minutes or so. You can download background pictures here. 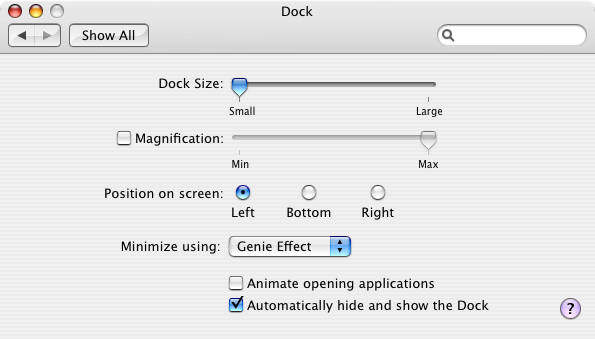 Set Dock size to largest and position to left. Turn off animate opening applications and set it to hide automatically. This will hide the dock to the left, which means we can hide the mouse cursor in the bottom right corner (where only one pixel of it will be visible) without the dock appearing. With size set to largest, the icons will be easier to hit and see if you're using a mouse or a remote control with mouse function. Uncheck the option to check for mouse & keyboard when none is found at startup. Even if you will be using one at times, you won't need it for basic operations. Enable "Allow Bluetooth devices to wake this computer". If you haven't already, set up your mouse and keyboard in the Devices tab, if you plan to use. I don't use any mouse or keyboard with mine. 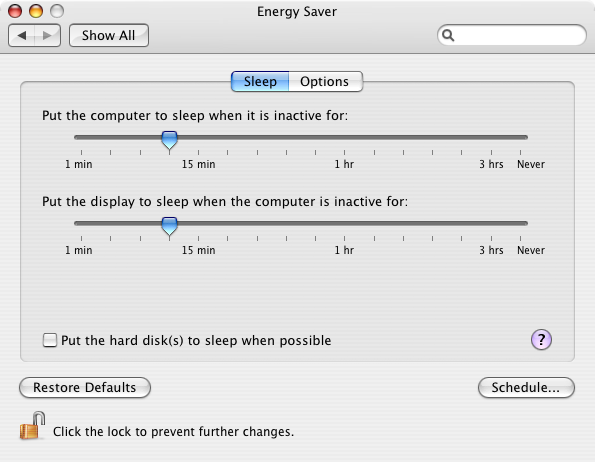 Set it to never sleep and never put the display to sleep unless you can live with the wakeup time (which is just a couple of seconds of course). 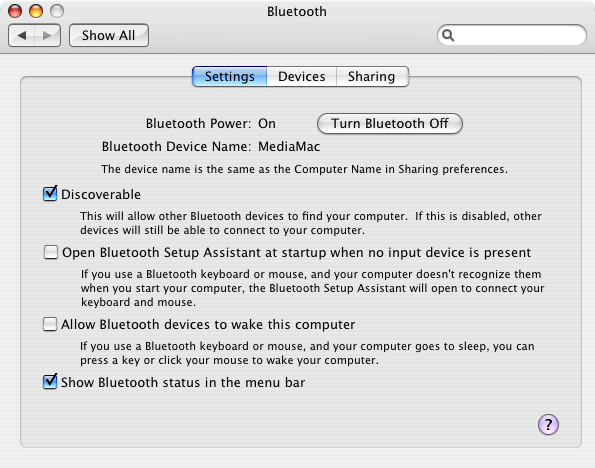 The Apple Remote can wake your Mac and if you have a bluetooth mouse and keyboard, it can too (see Bluetooth above). If you're conscious about energy and the environment, keep the settings as they are. But uncheck the "Put the hard disks to sleep when possible" or you'll get a lot of staggering operation when using your machine. Enable "Restart automatically after a power failure". If you want to, you can set up a schedule for shut down and start/wakeup each day, but that could mess up your late-night movie watching and is more meant for office-hours. Turn off "Play feedback when volume is changed" because, well, it's annoying. 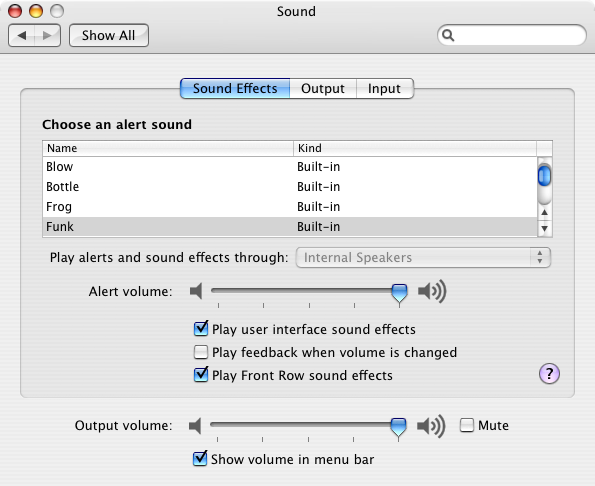 If you've connected your Mac to your sound system, be sure to select External Spekers in the Output tab, or optical output if that's what you're using. If your external speaker have a volume control of their own that you plan to use, set the Mac volume to max. 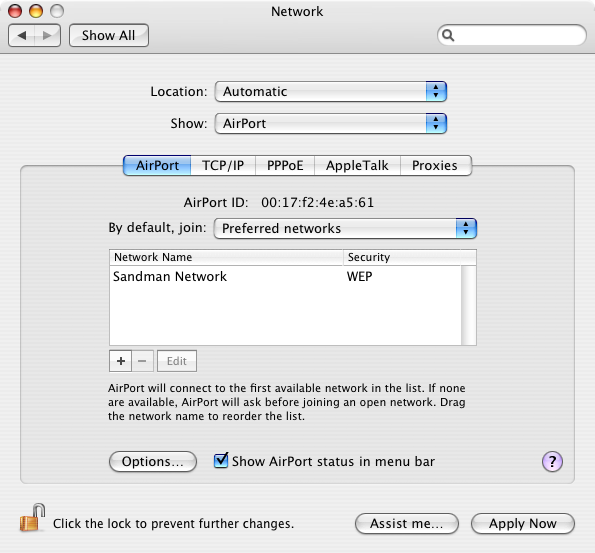 If you're using ethernet and it's working, keep it as it is, but if you're using Airport, set it up to "By default, join: Preferred networks" and make sure your network is the only on in the list. 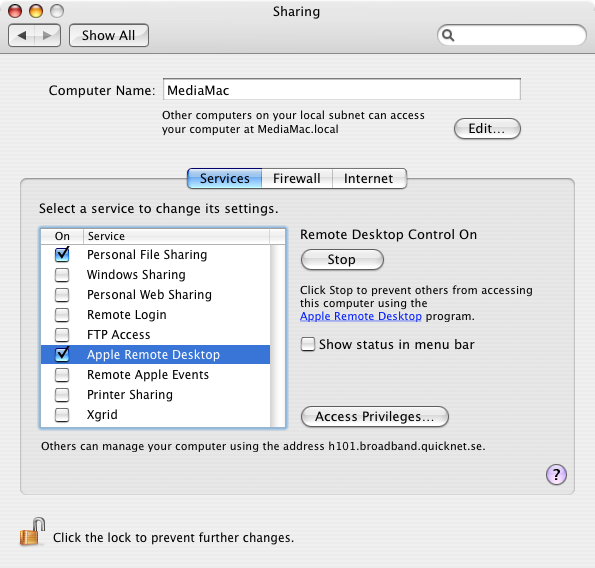 This makes sure that if your airport network goes down, your Media Mac won't ask to join another. Set you Macs name to something useful, like "Media Mac". 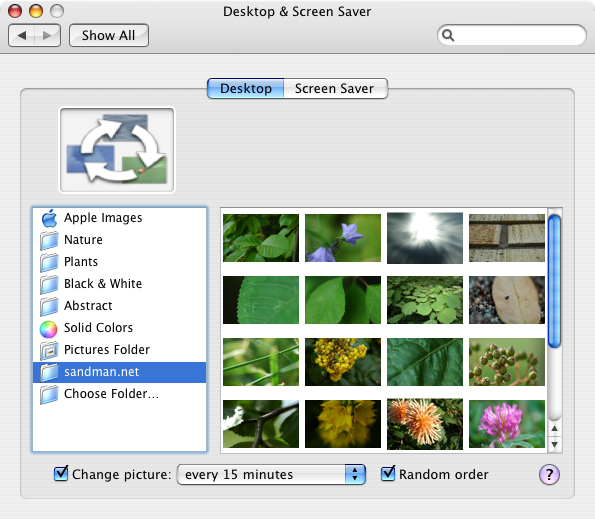 I then recommend you allow Personal File Sharing so you can move files to it over the network. I also have Apple Remote Desktop activated, so I can administer it easily over the network. You can set it up with a VNC viewer as well, but that's outside the scope of this article. Turn off automatic checking of software updates, or you'll have huge "New software for your computer is available" on your screen now and then. BUt remember to update manually now and then!